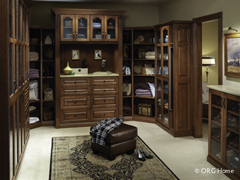 Find peace of mind and enhance every space of your home. 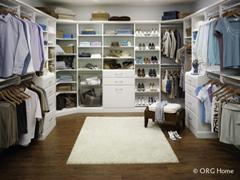 ORG Home storage and organization solutions can help you cut through clutter so you can focus on what’s important in life. 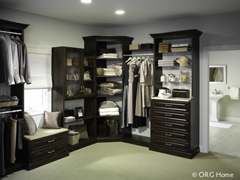 Our almost endless options can be personalized for you, your home and your lifestyle. As your local ORG Home dealer, we are ready to listen to your needs, expertly design a unique solution and install it with care. 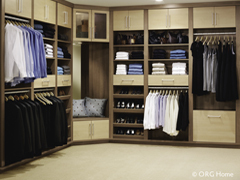 Transform an ordinary closet into an elegant retreat. 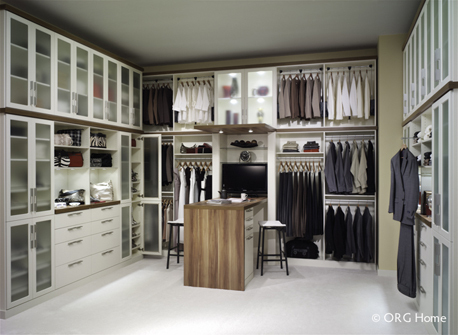 Defined by your choice of color, hardware and architectural detail, an executive closet complements your home décor and displays your wardrobe in high fashion for a beautifully organized start to every day. 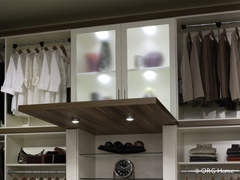 Centralized manufacturing guarantees consistently high-quality products- visible in details like our drawer and door fronts, color matching, and first-rate fit and finish. Close attention to evolving customer needs and wants inspires our continuous investment in new and innovative ideas. Our advanced design, engineering, and machinery mean we can personalize your solution to create anything—and everything—your heart desires.